I've gotten to the point where I feel homesick for Amsterdam, despite being born and raised in London. Over the past two years I've been to the Netherlands five or six times (I've honestly lost count) and I've truly fallen for it. You can see from my previous blog posts on Amsterdam, that I am utterly besotted. Everyone has that first love that their heart just cannot let go of and mine just happens to be a city rather than an actual human being. 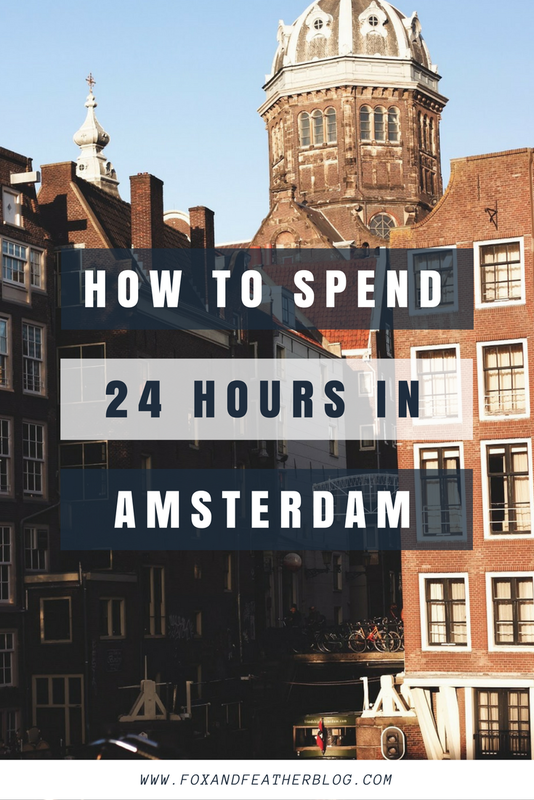 When I saw Accor Hotels were challenging bloggers to write a post describing exactly how they would spend 24 hours in a city of their choice, it was always going to be Amsterdam for me. 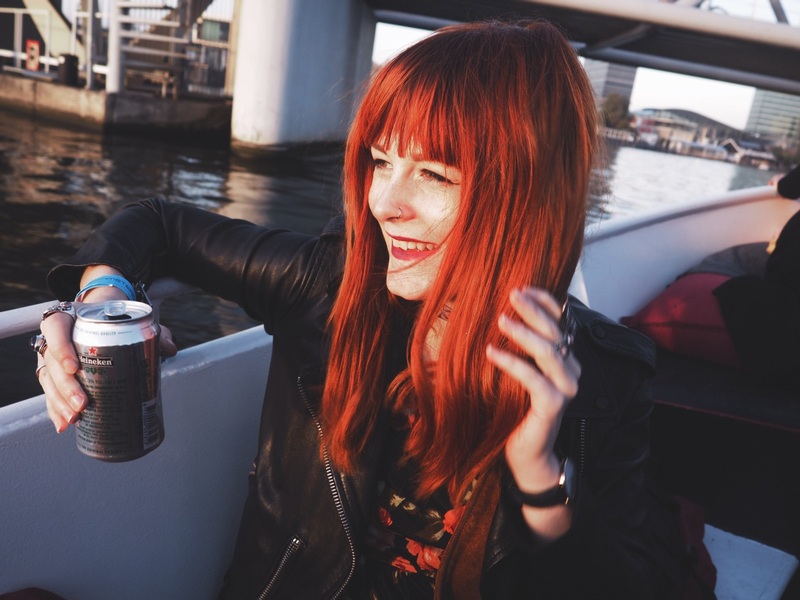 I'm not really one for tourist attractions, so I've based my post on how I would typically spend one of my days in Amsterdam guided by some of my favourite places that I've chanced across over the past couple of years. 08:00hrs: First thing's first after touching down on any holiday; rid yourself of your luggage and go out to explore! When choosing a hotel for any city break, location is always key, especially when you have such a short timeframe to explore your new turf. The Mercure Hotel Amsterdam Centre Canal District happens to be in the most idyllic location as it's central and within a suitable walking distance to all of the main attractions that Amsterdam has to offer. I'm a little early for check-in as I want to make the most of my day, so I leave my luggage with reception. Unfortunately I always bring an excess amount of clothes, cameras, toiletries, etc. with me, so it's for the best that I leave it somewhere safe. 09:00hrs: After wandering around the canal belts for a while I've found myself outside of Ivy & Bros, which just so happens to be once of my favourite brunch spots in the Dutch capital! 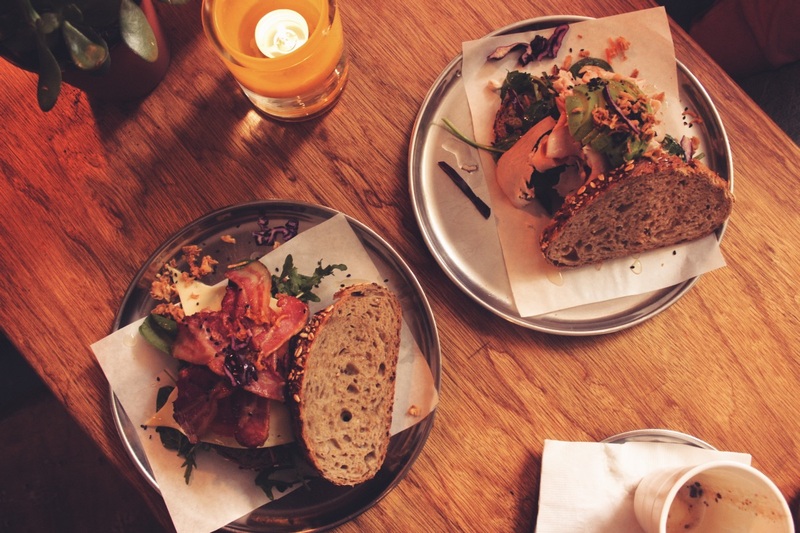 Well, it'd be rude not to stop for a one of their avocado & bacon sandwiches and speciality lattes, wouldn't it? 10:00hrs: Suitably full, I am now ready to spend the next two hours getting lost and walking as far as my legs can take me along the canal belt. I can't tell you what I may see or stumble across, but my favourite way to get around Amsterdam is by foot. I've discovered some of my favourite restaurants, bars, vintage shops and street art this way. Just wander along and see what you discover! 13:00hrs: After a few hours aimlessly wandering the city, I head back to the hotel to check in and more importantly check out my hotel room! One of my favourite parts of any holiday is seeing the hotel room for the first time and testing out how comfortable the bed is! I'll kick off my shoes for an hour or so and watch some TV as I'll need to re-energise after this morning's exploring. 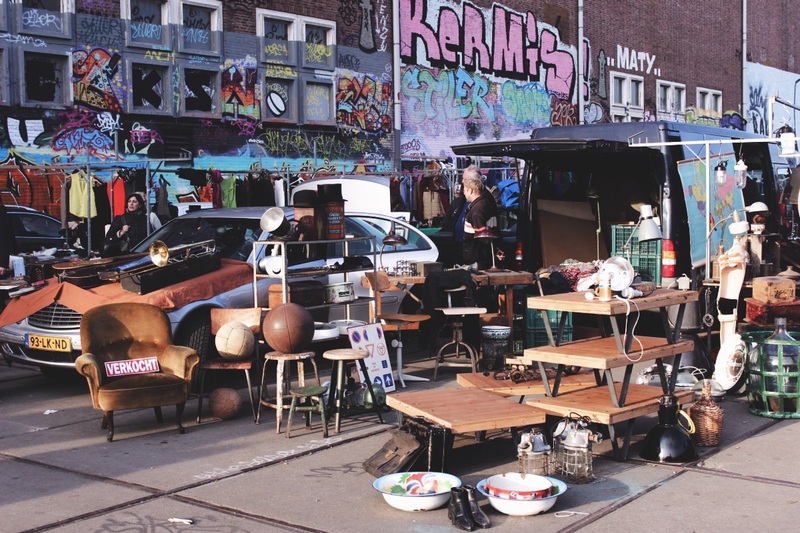 14:00hrs: Time to head out again as I have to catch a ferry to Amsterdam-Noord NDSM district to rummage through the treasures that the IJ-Hallen flea market has to offer! 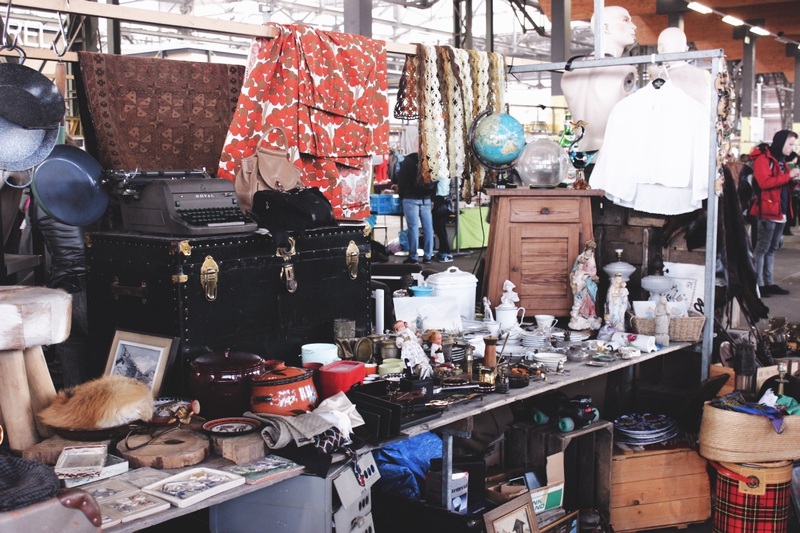 It just so happens to be the biggest flea market in Europe, which has my little thrifty heart jumping with joy. 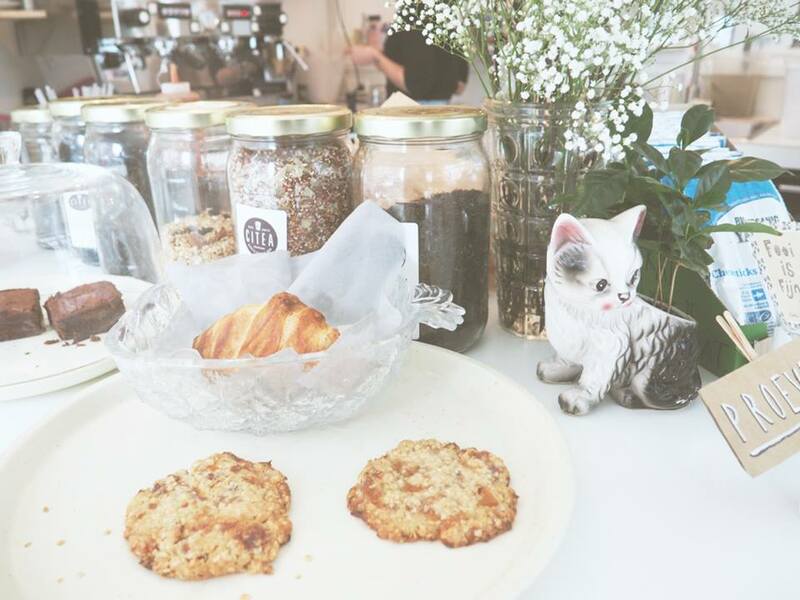 It has everything from vintage clothes to antique furniture and timeless bric-a-brac. You'll get lost in the endless rows of secondhand stalls that are heaving with nostalgia and history for hours on end! Also, don't be afraid to haggle as it's all part of the experience. 17:00hrs: I dash over to De Foodhallen, which is only a stone's throw away from Kopjes to grab a quick plate of bitterballen, which is a Dutch favourite. 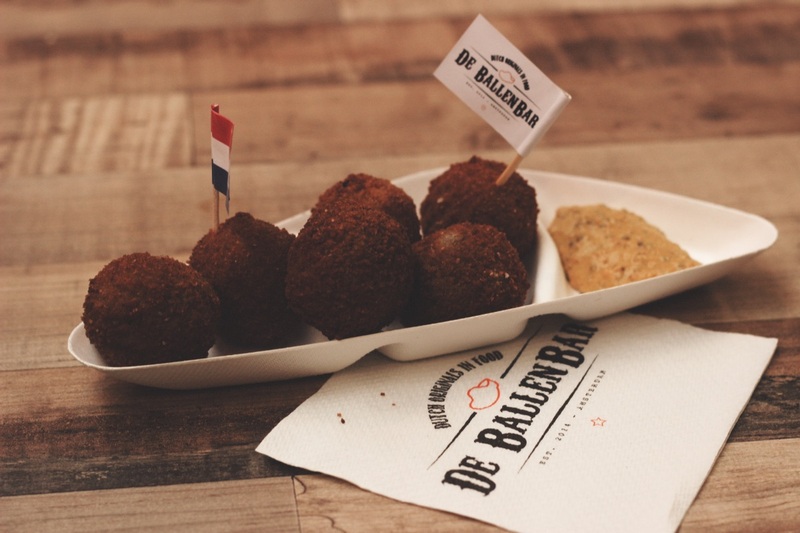 If you're ever in the Netherlands you absolutely have to try these beefy balls of deliciousness! De BallenBar in De Foodhallen also offer a vegetarian option too, which is just as wonderful! For burger fans, I can also recommend The Butcher as one of the best burgers that has ever graced my lips (I've even dedicated a whole blog post to one of their burgers here). 17:30hrs: It's time to ditch my bags of flea market treasures back at the hotel and take a moment to refresh before heading back out to the city. With only 14 hours and a half hours left, I aim to cover as much ground in Amsterdam as possible! 18:00hrs: Vondelpark is next on my list, and this time I decide to explore the huge open park by bike. It's fairly easy to find a bicycle rental company all across Amsterdam and it's the best way to enjoy the entire park as walking the length of it can take a fair amount of time. 20:00hrs: As the sun is setting I notice a boat pulled up outside the Oude Kerk in the Red Light District offering unlimited drinks and an hour long tour! The unlimited drinks offer is enticing and after confirming with boat's captain that unlimited drinks really means unlimited drinks (this actually happened last time I was in Amsterdam as I was skeptic), I hop on board with Boat Amsterdam and see my beloved city from the canal's view and maybe it's just the (unlimited) beer talking but it really is just magical! 21:00hrs: I won't lie, I'm a little light-headed after a few beers so the boat's captain has to give me a steady hand when stepping out of the boat, but it's cool, I haven't fallen into the just canal yet! 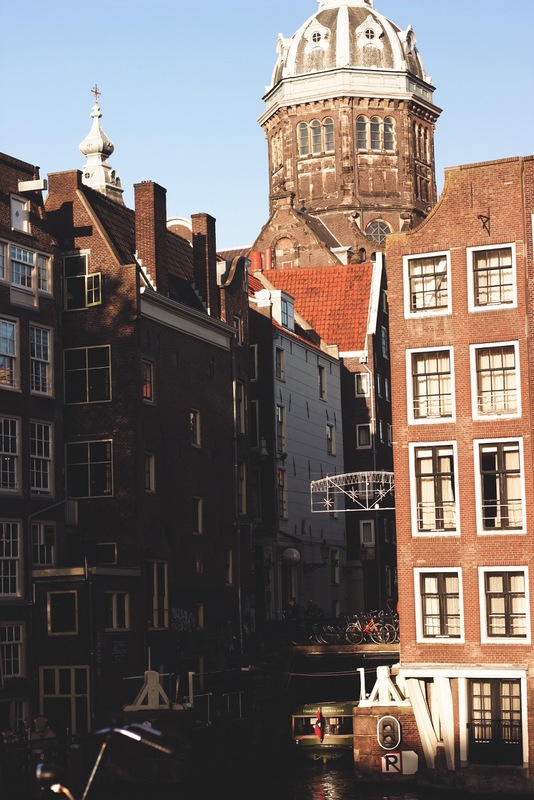 However, there's no rest for the wicked, as Amsterdam has one heck of a nightlife. I spend the next few hours crawling the bars around the Red Light District (a large portion of that time will be spent in one of my all-time favourite bars, Excalibur) and chatting to other travellers and locals. The main draw of travel for me is meeting incredible characters from across the globe and in Amsterdam everyone happens to be so open-minded and more than willing to make conversation with you. I've had some of my favourite conversations with strangers from across the world in the corner of a bar somewhere in Amsterdam nattering away about the universe into the early hours of the morning. 01:00hrs: I crawl into bed back at the hotel feeling so full of life and wonder from my day in Amsterdam. In fact, I find struggle to sleep because the thought of having to leave this incredible place in the morning feels me with sorrow, even if I have had to leave it multiple times before. Eventually though, I do drift off into a slumber before being woken by my alarm at 7am the next day. I could have easily filled that 24 hours and more with things to do, see, watch, eat and drink in Amsterdam, but realistically we all need a few hours sleep, right? 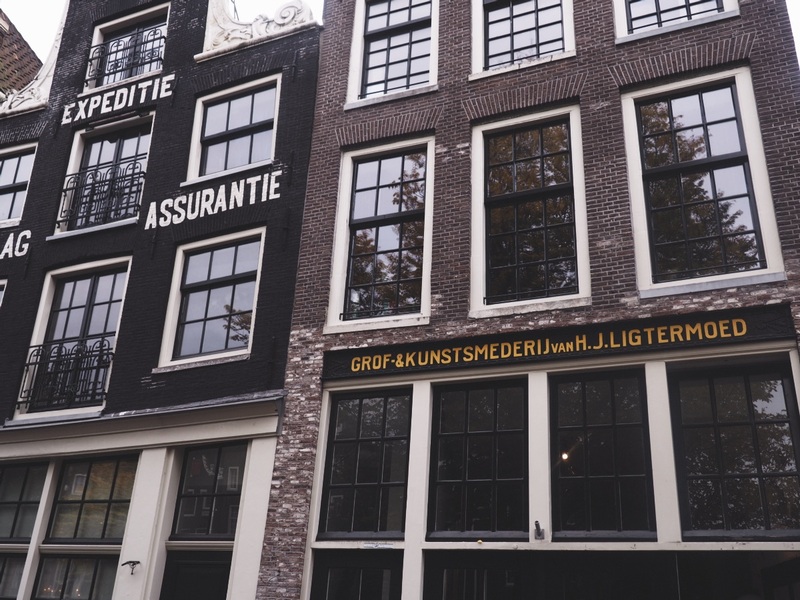 Just writing this post has me caught in a state of wanderlust for Amsterdam even though I was only there a few weeks ago. 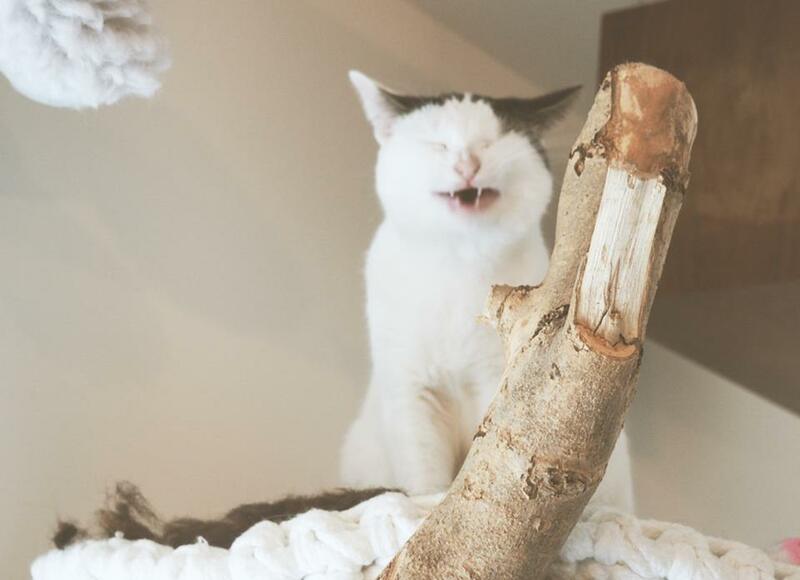 It might just be time to book another trip! Have you been to Amsterdam before? What would you do if you had 24 hours there? Love this post Leigh! And now I've been to Amsterdam I completely get why you love it so much! It's a great city. You had me at "biggest flea market in Europe". Amsterdam has been on my "to visit" list for so long and that has tipped it onto one of the top spots!